 Welcome to the Marketing Unit of the ICCBS.. 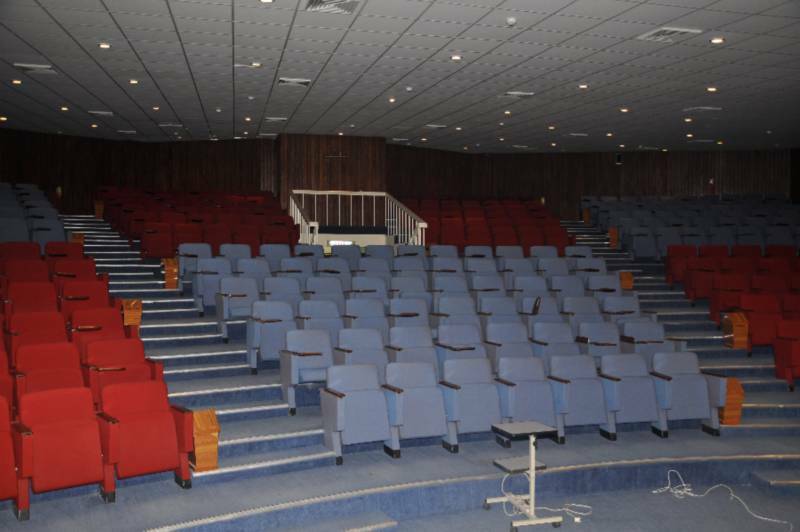 The centerpiece of our facility is a theater-style auditorium with 1,682 square feet of flexible space, one of the best Auditorium Facilities which is renowned throughout Pakistan and is designed specially as per International Standards. The Auditorium has wall to wall wooden work, an Audio Visual Room and a built-in stage. 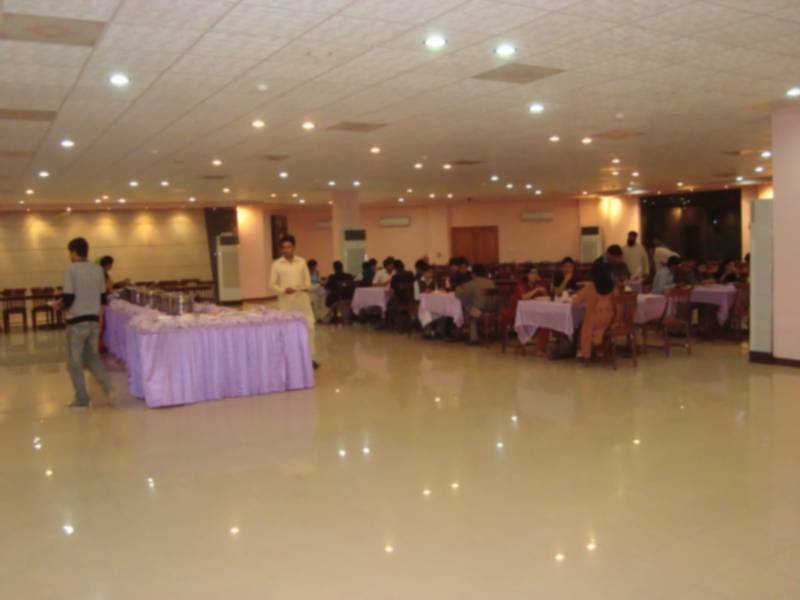 This hall is mostly used for Symposiums, Research Findings, Presentations, Trainings, Seminars, Product Launching Ceremonies, Annual Sales Conferences, and Corporate Delegations etc. 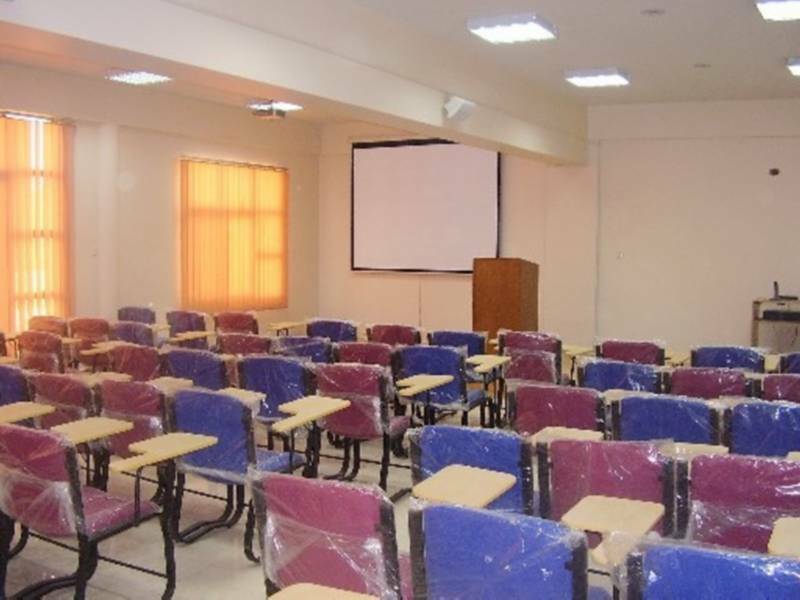 We have a large number of Lecture Halls having average capacity of 90-120 people, which is completely Air Conditioned and have adaptable public Address System with portable visualization. 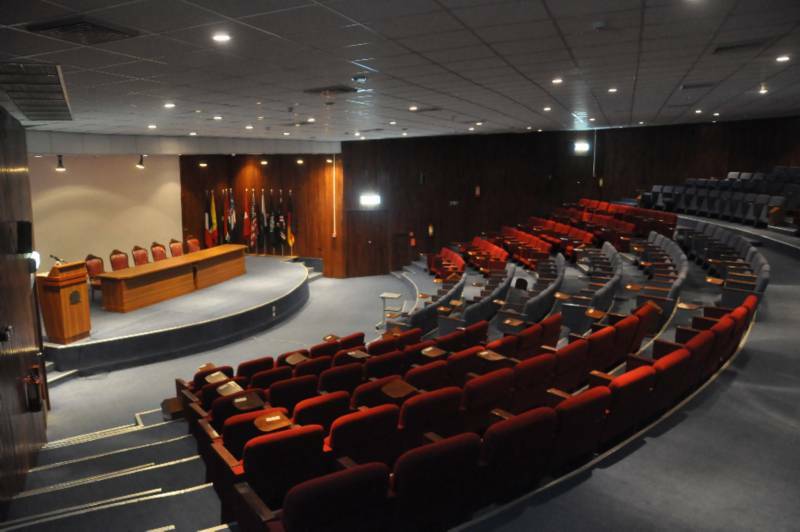 These rooms are mainly used for Workshops, Class Discussion, Symposiums, Group Meetings, Trainings and Seminars. 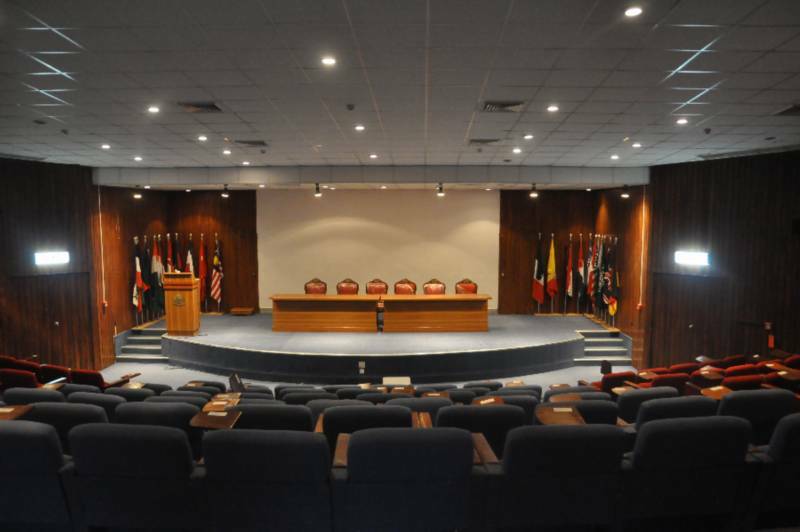 We have three video conferencing halls having capacity to deliver 300 audiences in aggregate. 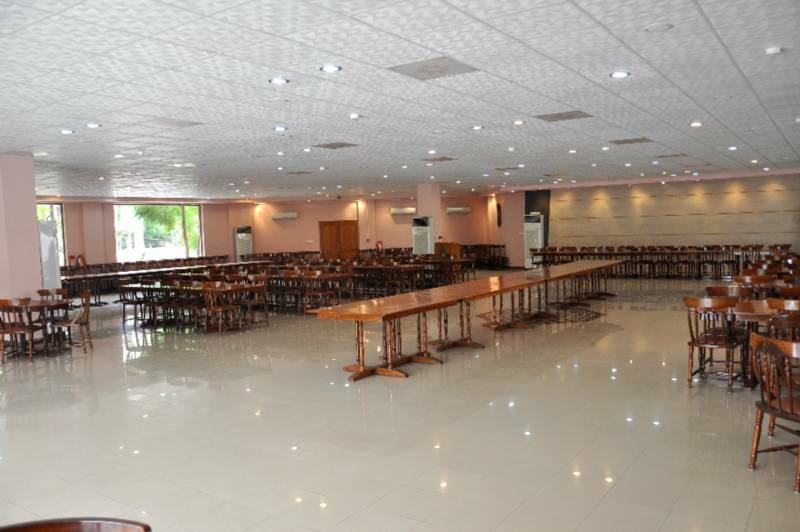 Each hall is fully equipped with exclusive Audio/Video Systems to facilitate any kind of International or National Conference. The center can be easily accessed by wheelchair and is designed to accommodate persons protected under the prevailing laws of the country regarding disable citizens. 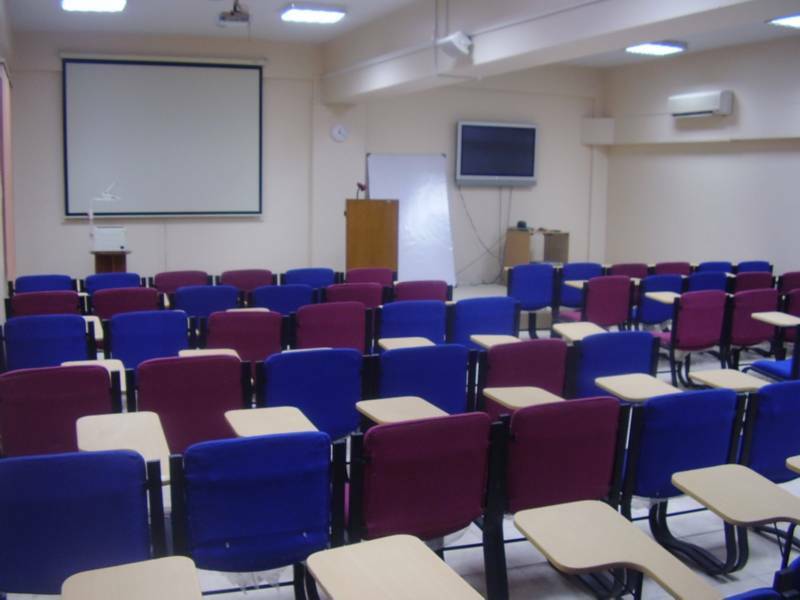 These rooms are mainly used for Class Discussion, Group Meetings, Trainings and Seminars. The digital libraries of the L.E.J. 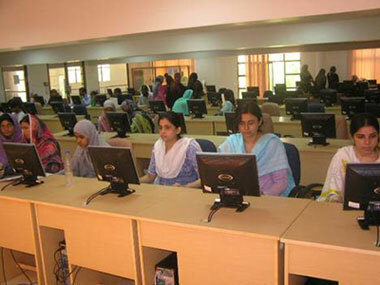 are the first digital library of Pakistan. The digital library provides access to a wide range of non-printed resources i.e. CD-Roms, Databases, online digital resources, etc. to all faculty, staff and students of University of Karachi as well as general public. 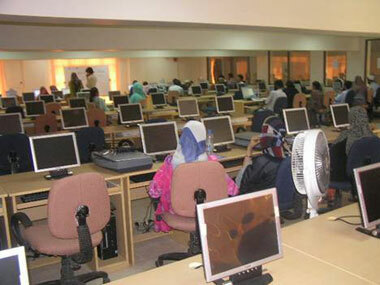 The digital libraries have over 300 computer terminals providing online access to over 23,000 online journals and 50,000 online text Books with full access are available in the knowledge center. Top class offline scientific databases are also available as a part of the huge source of information. 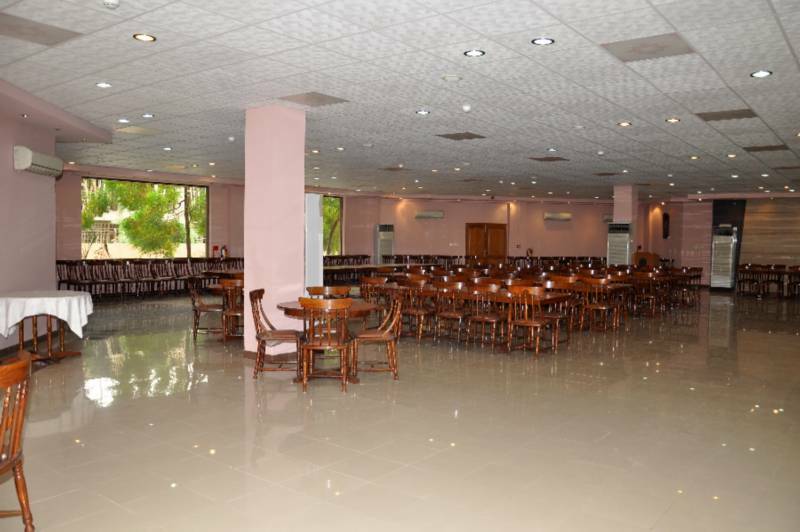 Artistically designed with wood and glass work having capacity of at least 500 persons. 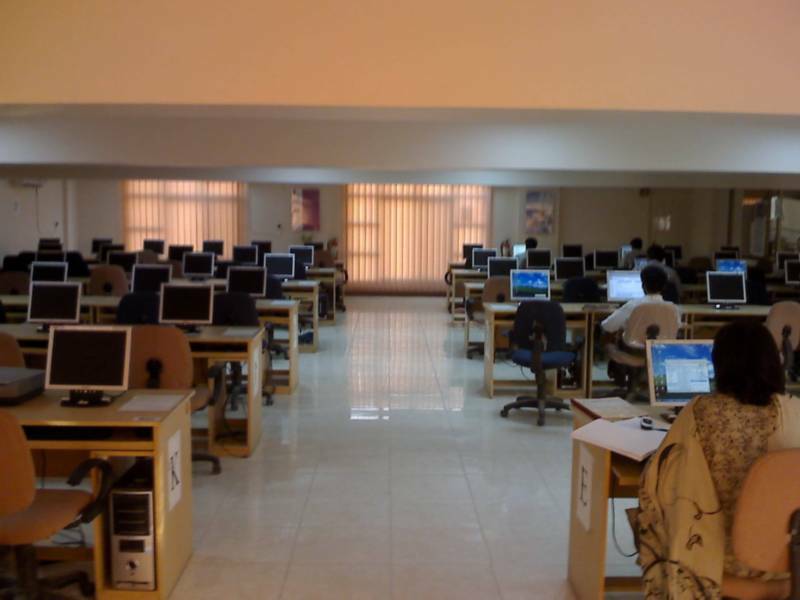 The hall is one of the most touching facility of the ICCBS. We can arrange Exhibitions, Seminars, Annual Sales Meeting, and Corporate Dinners and Lunch in the same facility at any point of time. 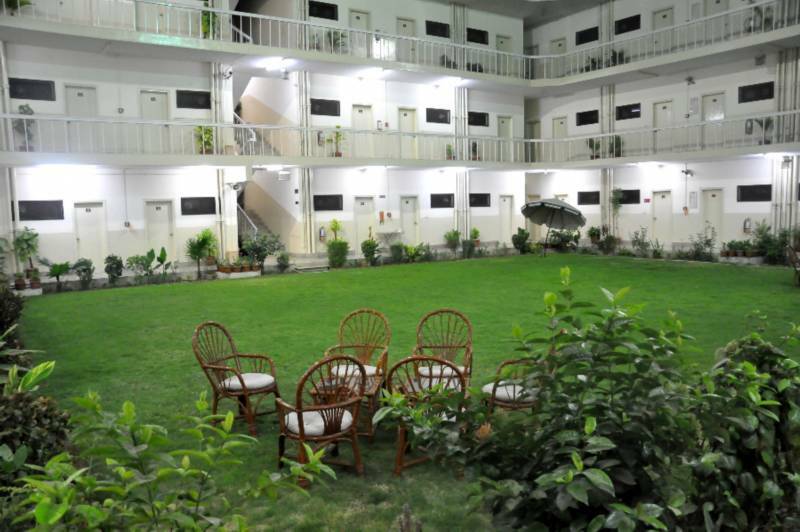 The ICCBS has state-of-the-art accommodation facilities which are all designed and established as per international standards and is highly appreciated in the Local Market due to its facilities and peaceful location. A well equipped clinical laboratory, with latest and fully automated analyzers for Diagnostic and Research purposes has been established and is fully operational at Dr. Panjwani Center for Molecular Medicine and Drug Research. This Laboratory was envisioned to provide highly advanced and rare diagnostic laboratory tests including molecular diagnostic tests, which are not commonly available at other laboratories in the country, to the community in general. The diagnostic laboratory is staffed with highly skilled and long experienced foreign trained technologists, consultants and support person. PCMD Diagnostic Laboratory Network is committed to provide high quality, cost effective and accurate laboratory testing services. The staff at Dr. Panjwani Center for Molecular Medicine and Drug Research is dedicated, professionally trained and has the commitment to undertake continuing education and training in order to provide optimal and competent laboratory testing services to safeguard human health. To promote skilled manpower development by offering various medical technology and technical training programs in diagnostic laboratory services. To help the general community, and staff of University of Karachi in their diagnostic and healthcare needs. 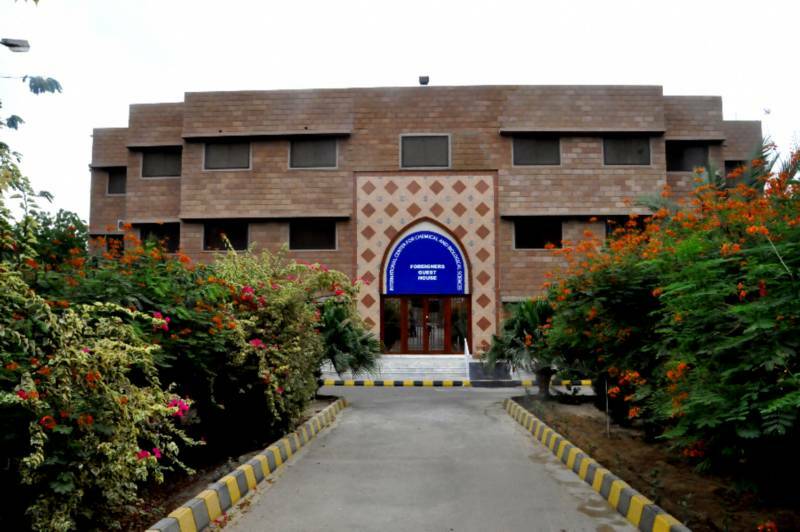 The International Center for Chemical and Biological Sciences (ICCBS) is an internationally recognized institution which is engaged in training of young scholars. Besides offering specialized trainings (M.Phil./Ph.D.) at post graduate level; the ICCBS offers special skill development courses for unemployed and young graduates of Pakistan. These courses are aimed to train highly skilled professionals, according to the needs of the current job market. Scope: For Farmers, Researchers and those who wish to setup farms and nurseries. Scope: For students, professional and those who seek employment in Food, Pharmaceutical and testing related industries. Gas Chromatography, H.P.L.C., Nova 60, K Jaldhal, Spectrometer, FTIR, BOD Bomb Calorimeter, Microbiological Analysis, Physical Training and pH meter. Scope: For those who wish to improve their communication skills.